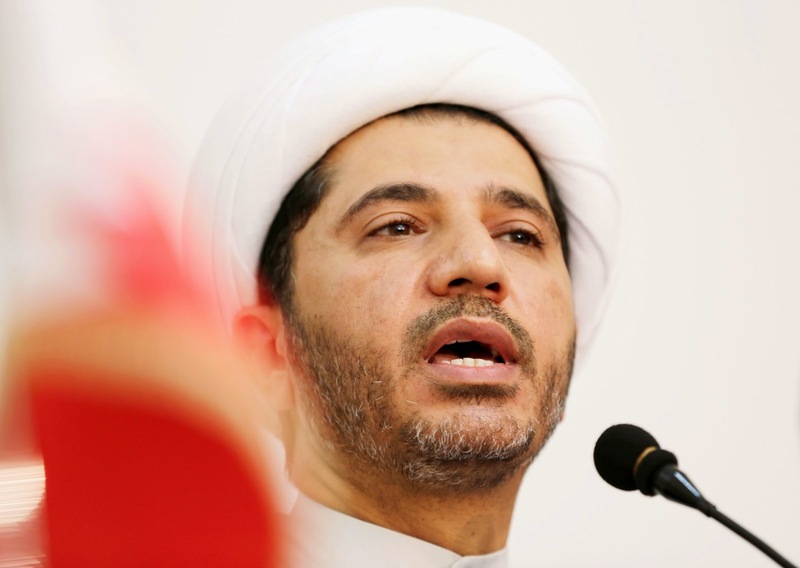 DUBAI, Dec 29, 2014) - Sheikh Ali Salman, the cleric detained by Bahraini authorities, is the charismatic leader of the Shiite opposition in the Sunni-ruled Gulf monarchy who has been a vocal advocate of peaceful protests. Two days after he was re-elected as leader of the banned Al-Wefaq movement, Salman was grilled by police Sunday and arrested for "inciting hatred", according to his lawyer Abdullah al-Shamlan. The soft-spoken Salman, 49, is considered a moderate who has pushed for a constitutional monarchy in Bahrain unlike hardline groups who have demanded the toppling the Al-Khalifa dynasty. 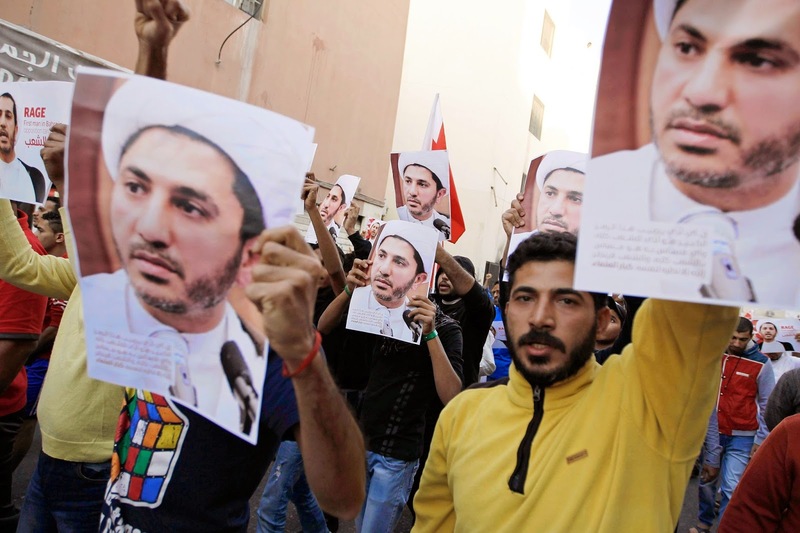 "We want a constitutional monarchy where the Al-Khalifas would be the monarchs," Salman told AFP in May 2011, shortly after Bahrain's deadly crackdown on month-long protests. "We said: The people want to reform the regime. We did not raise the slogan of toppling the regime," said the advocate of peaceful protests. However, Salman has been accused in the past of sowing sedition in the small but strategic Shiite-majority archipelago, a key ally of Washington and home base of the US Navy's Fifth Fleet. A year ago, he went through a day of questioning and was released with a travel ban after being accused of "incitement to religious hatred and spreading false news likely to harm national security." Salman holds a bachelors degree in mathematics from Saudi Arabia and in 1987 headed to Iran's holy city of Qom to study Islamic Studies at the Shiite school of clerics. He returned to Bahrain in 1992, two years before the start of an uprising that eventually lasted five years and demanded reforms. Salman was one of the signatories of a petition demanding the reinstatement of parliament, which had been dissolved in 1975 by ruler Sheikh Isa bin Salman al-Khalifa, the late father of King Hamad. Salman was widely considered one of the leaders of the uprising and he was arrested several times by the authorities. In 1995 he was exiled to the Unite d Arab Emirates, one of many regime opponents kicked out of the kingdom, and then moved on to Britain. Salman returned to Bahrain in 2001 under a general amnesty that was part of reforms introduced by Hamad, who acceded to the throne in 1999. Upon his return home, Salman set up Al-Wefaq National Islamic Society with other Shiite opposition figures. In 2006 he was elected secretary general for the first time. Al-Wefaq boycotted the first general elections in 2002 after Hamad restored parliament but created an appointed second chamber alongside the elected house. But in 2006, Al-Wefaq ran in general elections and won almost half the seats of the 40-member elected parliament. The group held onto its seats in the following polls in 2010, but Al-Wefaq MPs withdrew in 2011 in protest at the "repression" of the Shiite-led protests. The protests had erupted in Manama on February 14, 2011, taking their cue from the Arab Spring uprising and calling for reforms, including an elected prime minister. The current premier, Prince Khalifa bin Salman, is Hamad's uncle and has been in office since 1970. "The royal family retains all powers -- executive, legislative and judicial, in addition to security, information and wealth," Salman said in October. Tehran, Dec 29 - The anti-Iran terrorist group, Mujahedin-e Khalq Organisation (MKO), has openly expressed support for the Islamic State (IS) militants and their acts of terror in a clear indication of its wrath over Iran-Iraq cooperation against the group. In a statement, the MKO said any measure against IS would be a blatant violation of the UN Security Council's agreements, a Press TV report Monday quoted Iran's official news agency, IRNA. The terrorist organisation also called for an immediate end to the moves against the IS militants. The statement, without making any reference to the all-out cooperation among Iraqi Sunnis, tribes and army in the anti-IS fight, claimed that cooperation between Tehran and Baghdad in the battle against the IS terrorist group pursues anti-Sunni agendas. The IS terrorists control some parts of Syria and Iraq. They are engaged in crimes against humanity. Earlier this month, Press TV reported that Israel was training the MKO terrorists in Jordan along the border with Saudi Arabia in order to carry out acts of terror inside Iran and neighbouring Iraq. "The MKO terrorists are undergoing training on how to conduct terrorist operations in Iran and Iraq and are also receiving technical as well as information technology (IT) training from Israeli agents, said a source on condition of anonymity. The MKO fled Iran to Iraq in 1986, where it enjoyed the support of Iraq's executed dictator, Saddam Hussein, and set up its camp near the Iranian border. The group is also known to have cooperated with Saddam Hussein in suppressing the 1991 uprisings in southern Iraq and carrying out the massacre of Iraqi Kurds, report said. The MKO has carried out numerous acts of violence against Iranian civilians and government officials. 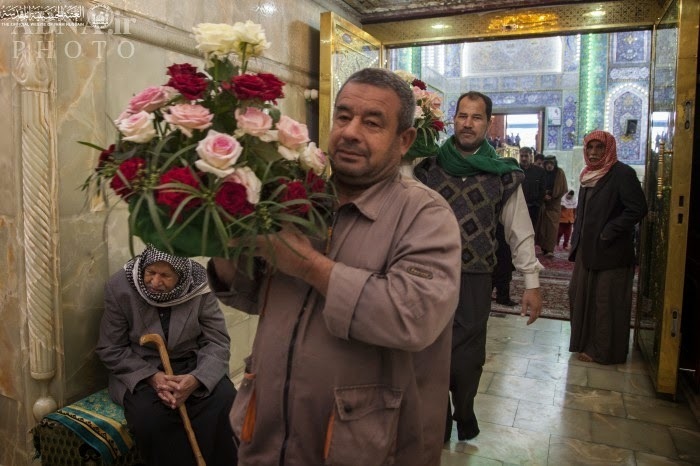 Karbala (Iraq), Dec. 29, 2014 : The Department of Decoration and Tree-planting has decorated the tomb of Imam Hussein (Peace Be Upon Him) with crowns of natural flowers celebrating the end of the sorrow season of Ahlul-Bait (Peace Be Upon Them). 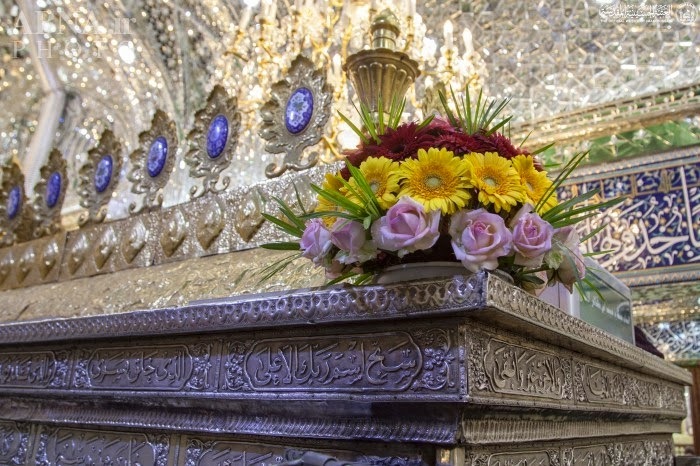 Mohammad Hussien Radhi, the head assistant of the Decorations and Tree-planting Department states that the department has removed the marks of sorrow and replaced them with flower crowns which are placed on the lattice-enclosed tomb of Imam Hussein (Peace Be Upon Him). 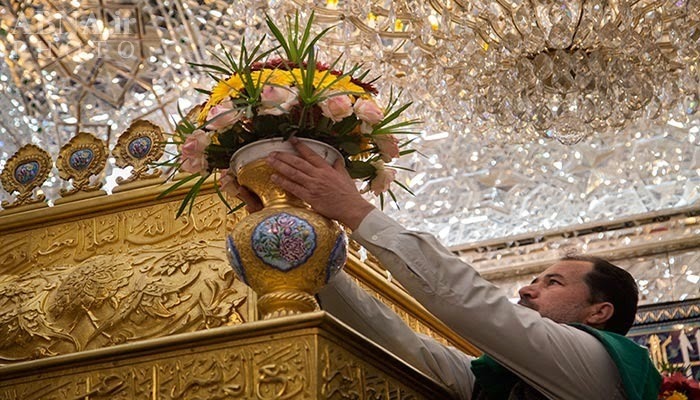 Additionally, the plants within the Holy Shrine of Imam Hussein were also renewed, along with the trees and plants in the area between the two Holy Shrines.